UPDATE: Remark closing dates and fees updated for 2019. Disappointing matric results is not the end of life as we know it. Fathima Razack, Head of Programme: Faculty of Commerce at The Independent Institute of Education, SA’s largest private higher education provider, explains, "The most important thing for both parents and learners having sleepless nights over their results, is to not panic. 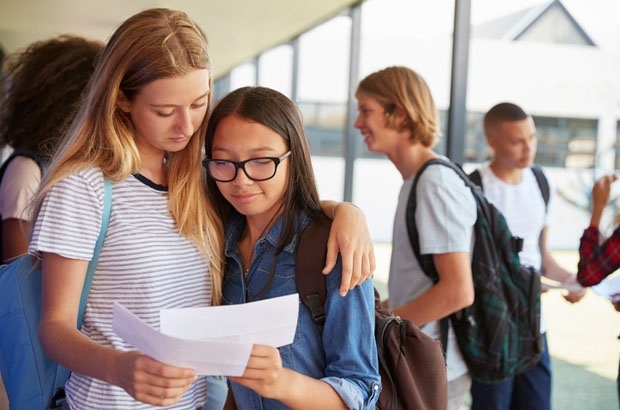 "She continues saying that although both students and parents alike might feel despondent, as long as one keeps a clear head and takes a pragmatic approach, all is not lost. As such, we've put together a few options for you. You'd be surprised at just how many options you've got. Results will be released for private schools on 3 January while the Department of Basic Education will release the state NSC matric exam results on 4 January, and the Western Cape NSC results on 5 January. Learners will have to apply for a remark (complete re-assessment of your paper) or recheck (re-counting and calculating the marks) by Friday 18 January 2019 and register at either their school or district office in their province to do so. You will also have to pay a fee of R105 for a remark or R25 for a recheck. Viewing scripts may only be done after a remark or recheck. The closing date for applications to view your paper is 7 days after the release of the remark or recheck and costs R205. Further instructions will be provided to students on the reverse side of the Statement of Results. There are also things you can do to improve your results, like even going back to school before rewriting your exams and then possibly getting into the university of your dreams. Don't give up just yet! If you require a maximum of 2 subjects to obtain the Senior Certificate you may redo those subjects, provided they are the same two subjects taken in the previous end-of-year examination. If you were unable to complete the exam period as a result of being medically unfit. If there was a death in the family and you therefore were unable to write your exam(s). If you qualify for a higher education institute or for an occupation but falls short of entering without your Senior Certificate. You're allowed to rewrite a maximum of two courses. If an irregularity is being investigated, provisional enrolment for supplementary exams may be granted, pending the outcome of the investigation. If you were unable to complete one or more exams due to any other valid reason, provided that a written report is submitted by the principal of the school to the head of the assessment body. When applying for supplementary exams, documentary proof must be provided for all absenteeism. If you have failed your matric exams, it's not be the end of the world. Minister of Basic Education Angie Motshekga announced the launch of the Second Chance Matric Support programme in January 2015.
progressed learners – those who wrote 3 or more subjects in November and will complete the rest in June. In all 9 provinces, at 50 venues, mainly in the rural and semi-rural areas. This is only available for those writing in June and November. Telematics Broadcasts at selected schools – nationally except GP. Internet Broadcasting Programme (IBP) at selected schools in the Free State. DStv Channel 319, Mindset Television Broadcasts (4.5 Million households connected). Digital Online Course via internet. This will be implemented for both supplementary and progressed learners and is available at Face to Face classes or from district offices and DBE Offices. Candidates will be able to access the internet at teacher centres, community centres, Vodacom Centres, libraries and free Wi-Fi hotspots. Online course to support learners. Check out the Department of Basic Education's website to find out more about the Second Chance Programme. If you didn’t do well in a particular subject or a few subjects, you can redo them at particular institutions. This isn’t the worst thing in the world, especially if you didn’t get into the university of your choice because a few of the subjects you needed for a course didn’t quite cut it. Much like redoing your subjects, bridging courses allow you to take short courses to improve your marks and potentially get a pre-degree/diploma foundation which could then help you get into a higher education institute should you wish. An extended degree programme is where an institution allows you to study your chosen degree provided you do it over an extended period of time. This usually adds an extra year to your studies. And while some may feel like this is a bad thing, it just means your workload is lighter and slightly more manageable. Most institutions have these programmes in places for those studying courses from media to accounting and even medicine, to name just a few. So do enquire about them – it might make things a whole lot easier. It may feel like the end of the world when you don't get the results you want or, similarly, you don't get into your dream institution. Fathima suggests, however, that although you might have had your heart set on a particular institution, it might be a good idea to apply at another institution that could be a better fit for you. “While your marks may not have been good enough to get access to your first choice of course or institution, that doesn’t mean you have no other study options left. Quite the opposite in fact, so parents and prospective students should ensure that they have really investigated the offerings at both public universities and private higher education institutions." She explains, “Each university and private higher education provider set their own minimum criteria, and these requirements vary between institutions. An institution where the demand outweighs the availability of space may set this bar quite high, which means they are likely to accept only students who are very strong academically. Other institutions may have made provision for students who require more support, and will therefore have more accommodating admission requirements." But there are numerous ways you could make the most of your time and explore options before you reapply. You could take a gap year to travel or you could start working and build up some job experience. Again, there are so many options available for you. Matrics: Have fun, be safe! Should my child take a gap year? Are there any other options we might have missed that we could possibly share with our readers? 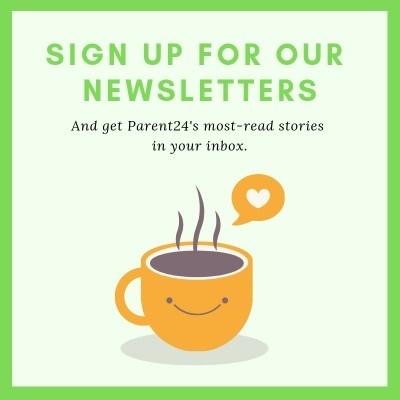 Tell us by emailing to chatback@parent24.com and we may publish your comments.